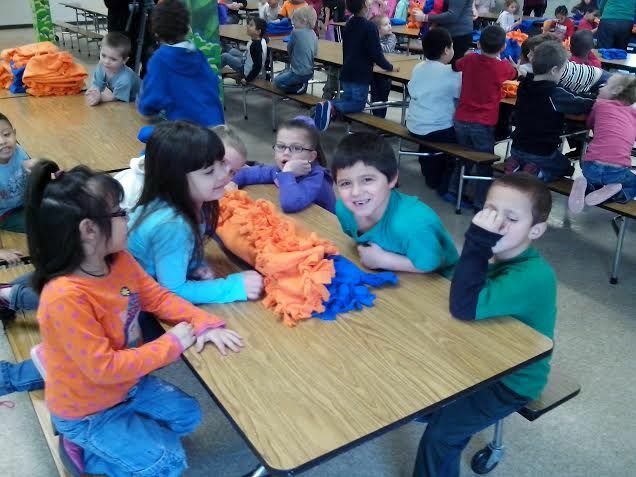 Young students from four Kindergarten classes at Glenn O. 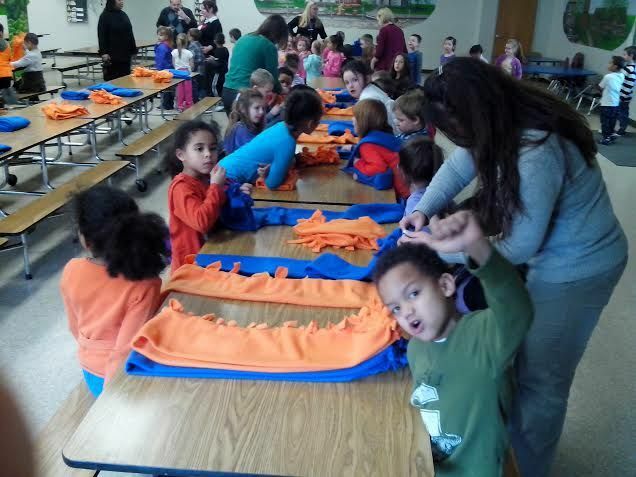 Swing Elementary School in Covington were busy Thursday making fleece scarves for needy youngters in Over-the-Rhine in Cincinnati. The effort is part of a service learning project at the school supported by Children, Inc.
"We decided since it's such a harsh winter that this would be a good experience for them to give back," said teacher Rebecca Hall. 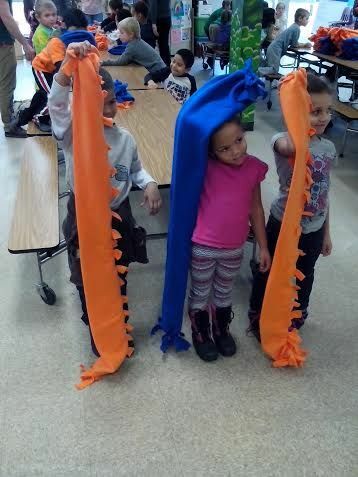 Kindergarten student Bradan Blevins said making the scarves for other people made him happy. Students at Glenn O. work on service learning projects throughout the year. “Our students are getting active in their community and understanding that they can do something for other people,’’ said Hall.